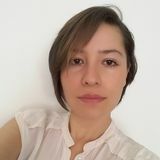 Want to connect with Berenice? Nice to meet you! My name is Berenice. I am looking for a pet sitter job in Mississauga, Ontario. I'm aiming to utilize my experience as a pet sitter. I can be available as needed. Weekend and Weeknight Babysitter ! Dog walker for your fury loved ones. Downtown Toronto. Bay and Wellesley/Wellesley and Church areas.